If your heart is in helping people, we want to meet you. 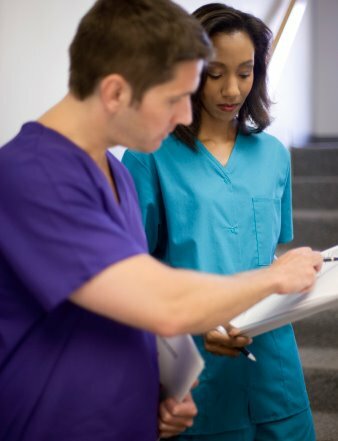 Northeast Georgia Physicians Group (NGPG) and The Heart Center at Northeast Georgia Medical Center have immediate full-time and part-time opportunities for qualified CMAs. NGPG has 55 locations to choose from and The Heart Center has 10. We’re sure one is the right fit for you. If you want to put your critical thinking skills to good, enjoy a fast-paced environment and working with a cross-cultural team, consider one of our two skilled nursing facilities. New Horizons Limestone is a 134-bed facility featuring a multi-disciplinary team of care providers, with a 22-bed Transitional Care Unit serving young adults as well as the geriatric population. This unit is designed to offer medical and rehabilitation services to patients who no longer need the acute nursing care offered on other hospital units but who are not yet ready to be discharged to their homes or to a nursing care facility. New Horizons Lanier Park is a beautiful facility that has recently been renovated with 118 beds that are a mix of private and semi-private rooms. Our fast-paced and ever-changing environment is the perfect place for you to develop your time management skills, put all that you’ve learned to good use and learn to be a team player.